Environmental Vitality | SNP Strategies, Inc.
Fundraising Campaign Raises Over $10 Million to create new natural and cultural destination. One of the country’s oldest and most successful regional conservation organizations, Openlands has helped save thousands of open space acres in Illinois but it never owned property before accepting the challenge to protect 77-acres, once part of Fort Sheridan military base in Lake County. The natural area would have been developed for private use unless a nonprofit agreed to restore the land that includes one mile of Lake Michigan shoreline, rare ravine ecosystems and upland bluffs. As a military base, the land was off limits to the public for more than 100 years. 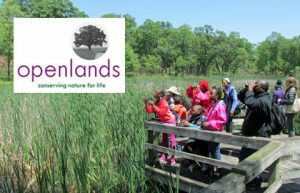 Openlands accepted the challenge to raise funds, restore the land and open it to the public as the new Openlands Lakeshore Preserve. Launching its first capital campaign to raise $10 million for restoration and $3 million for an endowment, Openlands needed a public debut of the Preserve that would generate excitement and to help raise funds. SNP and the Public Communications Inc. (PCI) partnered together to assist Openlands’ three-person external affairs and development staff. SNP designed and implemented a Campaign Plan, with the leadership of Openlands while PCI provided pro bono PR and communications counsel. With limited resources and time, the planning team researched what type of opening could attract the public to the Preserve and also help raise funds without reducing support for Openlands’ annual luncheon in October.